North gate of the Notre-Dame de Chartres cathedral in Chartres, western France, rebuilt after a fire in 1836, shown on April 17, 2019. Notre-Dame Cathedral would have burned to the ground in a “chain-reaction collapse” had firefighters not moved as rapidly as they did to battle the blaze racing through the beloved landmark building, a French government official said Wednesday. Despite extensive damage, many of the cathedral’s treasures were saved, including Notre-Dame’s famous rose windows, although they are not out of danger. Nearly $1-billion has pledged for the restoration, while a vow by French President Emmanuel Macron to finish it in five years has been challenged as being wildly off track. Notre-Dame’s rector said he would close the cathedral for up to “five to six years,” acknowledging that “a segment” of the structure may be gravely weakened. Pledges of nearly $1-billion have been made by ordinary worshippers and wealthy magnates, including those who own L’Oreal, Chanel and Dior. Presidential cultural heritage envoy Stephane Bern told broadcaster France-Info that 880 million euros ($995-million) has been raised since the fire. Neighbourhood merchants who depend on tourism to Notre-Dame expressed worry about their future. Since the fire, the island that houses the cathedral has been closed to the public and its residents evacuated. The island is considered the heart of Paris, with all distances in France measured from the esplanade in front of Notre-Dame. 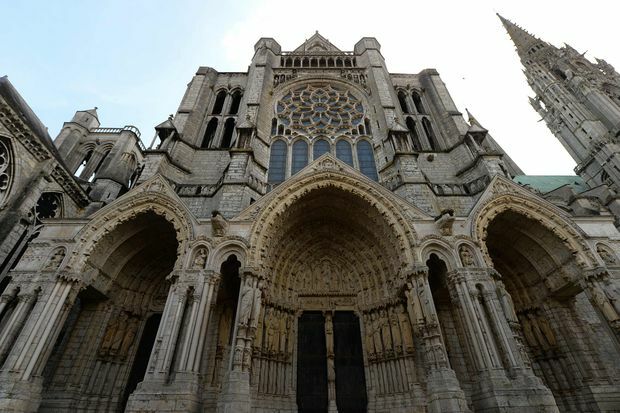 Later Wednesday evening, bells will toll at cathedrals around France in honour of Notre-Dame.